Thanksgiving is about as American a holiday as the 4th of July and apple pie. Although you don't need to be an American to be thankful of course. Thanksgiving is such a great part of our history and traditions. The kids and I read and do unit studies on Thanksgiving every year and I am always astounded at the pilgrim's fortitude and faith to go through all they went through to come to America for religious freedom. I really love The Light and the Glory book which gives a historical and accurate account of all that transpired in our country's beginnings with deep insight on our Christian beginnings. I have been thinking lately about what it means to me to be thankful as an American. Everyday I have so many things to be thankful for but with Thanksgiving coming up I thought I would share the things that I am really thankful for as an American. When I was younger I traveled with my family out of the country and was able to experience life outside of America, for which I am truly thankful for. America is not the only country on earth and we do not do everything right or have it all together by any means. But as an American there are some specific things that I am thankful for despite being an American and because I am American. Even though our country seems to be turning more and more away from God I am thankful for the freedom that I have to worship God with other believers in a church service and at home. It is something that is easy to take for granted and I know in many other countries Christians are being persecuted for meeting publicly to worship. I am also thankful that not only do I own my own Bible but have many Bibles in my home. The Pilgrims came here so they could worship God freely, how they felt he was leading them and I am so happy that we are still able to keep their dreams alive. Being able to educate my children at home is something I don't take lightly. It is one of my jobs. Not only am I teaching my children but I am learning every day to die to myself, to be more organized, to figure the best way to make our days run as smoothly as possible, to run to God for help and strength when I can't do it on my own. Though there are many days when I would happily send them off to someone else to teach them; homeschooling has become such a wonderful part of our lives. I love the freedom I have to teach my children from home and focus on subjects and beliefs that are very important to us. I love that we can learn things by doing them, as we go about our daily lives. I love that their Dad is so involved in teaching them life skills, i.e. fishing, hunting, carpentry, beekeeping, urban farming. I can learn right alongside my children. I can tweak our curriculum and learning styles to fit each individual child and I can be with them through their learning and growing process. There are so many things that we are able to delve into and learn in different ways because of homeschooling and for that I am truly grateful. The divorce rate in America is sadly 40 to 50% of married couples( source) Although I know there are of course cases where divorce is unfortunately the only option; I believe divorce is such an evil in our country that divides so many families and brings so much pain and trauma to both the adults and children involved. As the wife of a middle school pastor I have seen the statistics to be true. Most of the kids we work with come from divorced families and the it's evident to see the toll it is taking on many of their lives. That being said I am so thankful for the wonderful marriage that I have with my husband that is only because of Christ as the center of it. I am thankful that my kids have never had to experience divorce and know that their mother and father not only love them but love each other. I don't say this lightly or to say that my husband and I have it all together or are doing everything right. I just do not take being in a beautiful, loving, Christ centered relationship for granted. I know it's rare. There is a lot of crazy, terrifying stuff going on in the world right now. I guess there always is, even if we don't know it. America has it's fair share of bad guys and bad things happening but I am not afraid to leave my house, go to the store or a public place. This could change someday but right now we can go about our city freely. The things we worry about are what we are going to eat for dinner. This doesn't mean I don't ever worry or fear for my children's and husband's lives; because I do. I worry about sickness and death coming, I worry about getting into car accidents, I worry about them growing up and going out into the world. But right now my kids don't know what it is to go hungry,they don't know what it is not to have a place to sleep, they don't know war, or death or fear. They know there are terrible things happening in the world and we pray together about them but they do not have to experience them. They are having the best childhood I could imagine and this gives me the greatest joy and fills my heart with such gratitude. I could rattle off a ton of other things I am thankful for but I think these sum up pretty much what I am thankful for as an American. I am really looking forward to Thanksgiving. Being with family and friends and sharing a delicious meal together. No gifts, no worries just enjoying good fellowship and food. What could be better? The Pilgrims and Indians started a great thing in coming together to give thanks for the bounty that God had blessed them with after going through starvation, death and such hardships. I am glad we are keeping the memory of their sacrifices alive, while stuffing ourselves at the same time! I think Thanksgiving optimizes what everyone wants for their families... Freedom. Food. Fellowship. 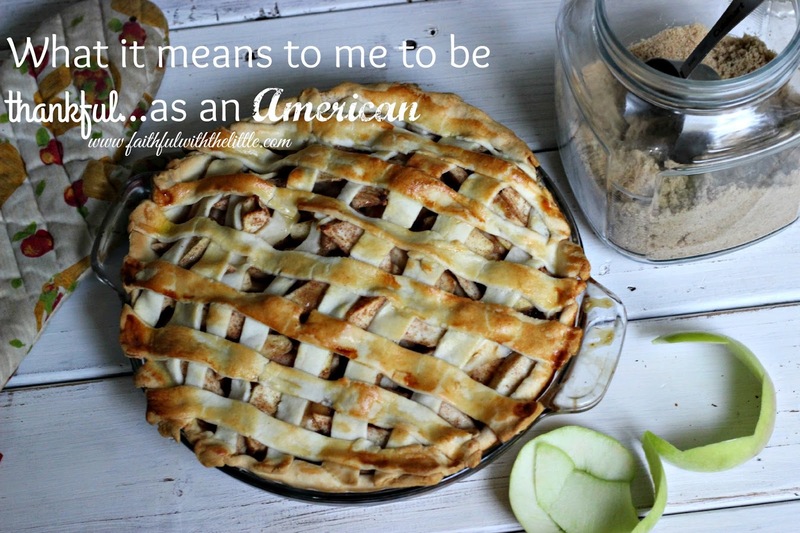 What are you thankful for as an American? (or non-American)?? 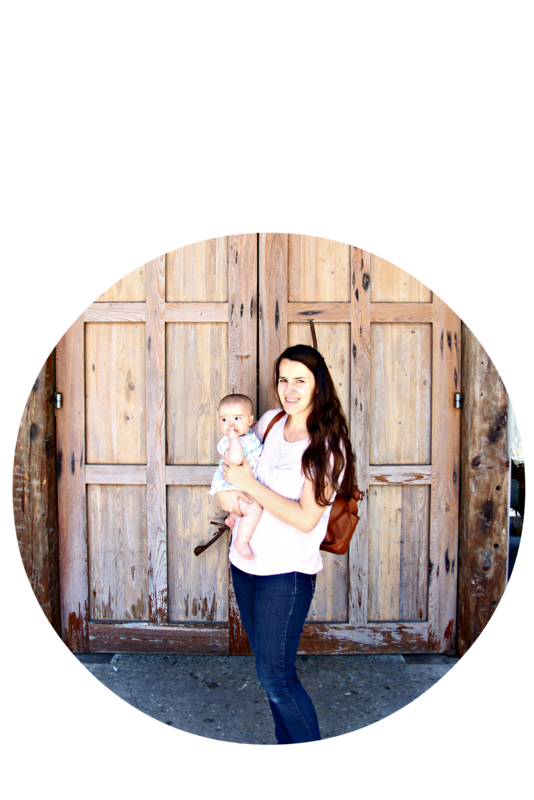 This post may contain affiliate links that help support our home and homeschool. When you click on a link and purchase and item, I receive a small commission. Thanks! Thank you so much for sharing your heartfelt gratitude to the Lord on what you are thankful for as an American. I LOVED the book you mentioned, The Light and The Glory. I read that to my kids when I homeschooled many years ago. I learned so much about American History that I didn't know before. Happy Thanks giving to you Rabekah. It's great that you home school your children. I feel, it's not an easy task. I'm thankful for the freedom to worship :). Thanks for your posts, Rebekah. It is always great to be thankful, and to see what others are thankful for.